Alina Zagitova performs her free skate on Friday, February 23. The 15-year-old won the ladies’ figure skating competition, edging fellow Russian Evgenia Medvedeva. 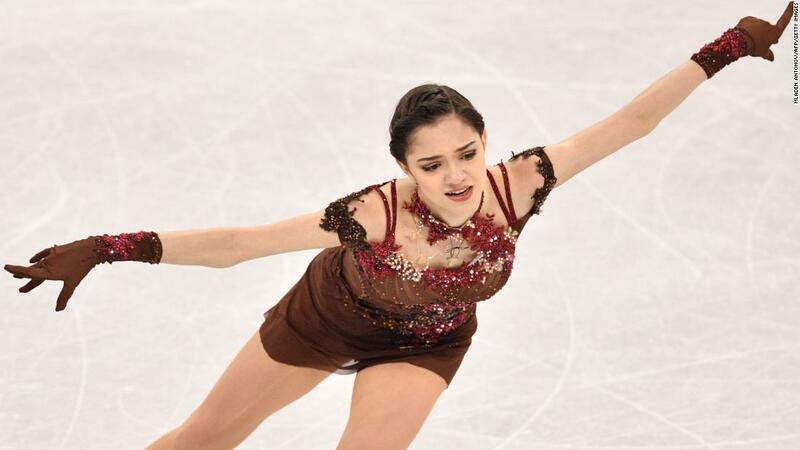 Medvedeva received the same score as Zagitova on their free skate. But in the end, it was Zagitova finishing with the gold because of her superior short program on Wednesday. 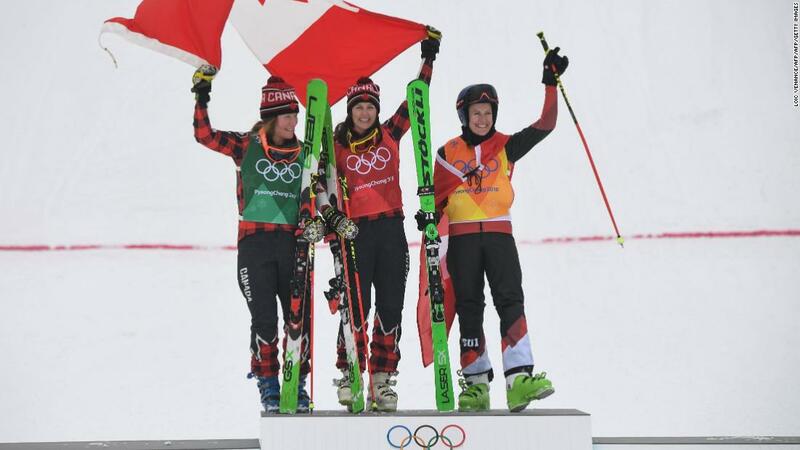 From left, Canadians Brittany Phelan and Kelsey Serwa celebrate on the podium with Switzerland’s Fanny Smith. 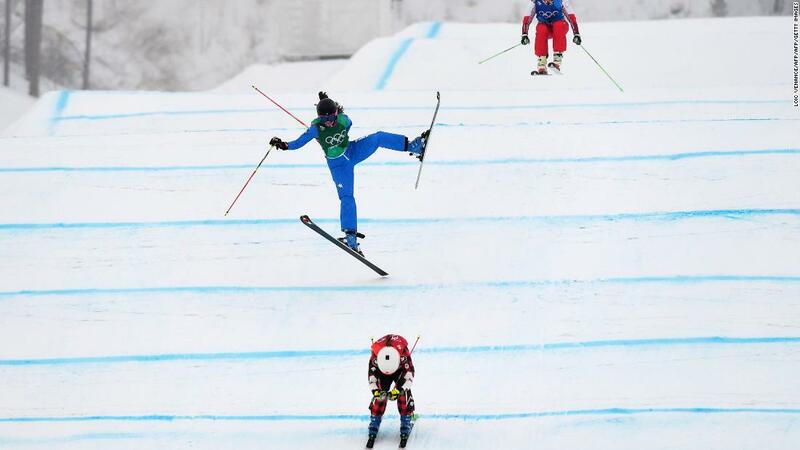 Serwa had just won gold in the ski cross. Phelan won the silver, and Smith finished with the bronze. 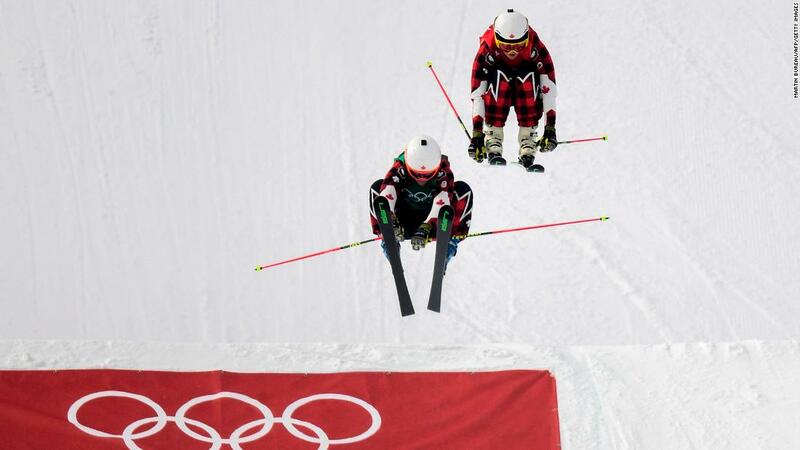 Phelan, left, and Serwa compete in the ski cross final. Phelan leads a quarterfinal race as Italy’s Debora Pixner crashes. 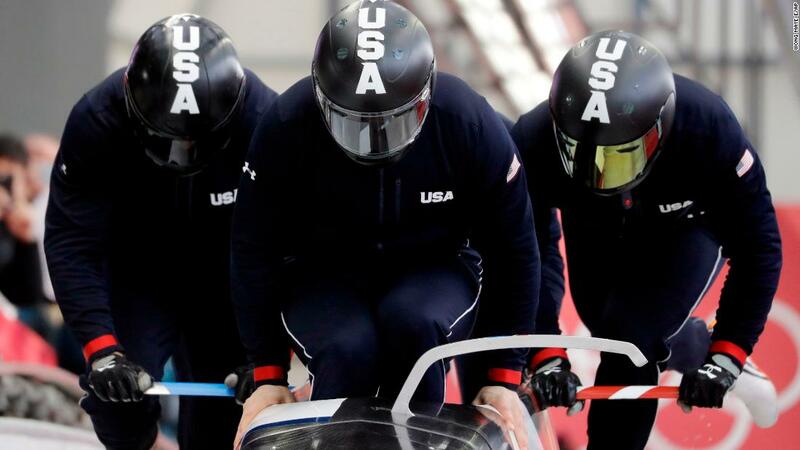 A US team starts a training run for the four-man bobsled.